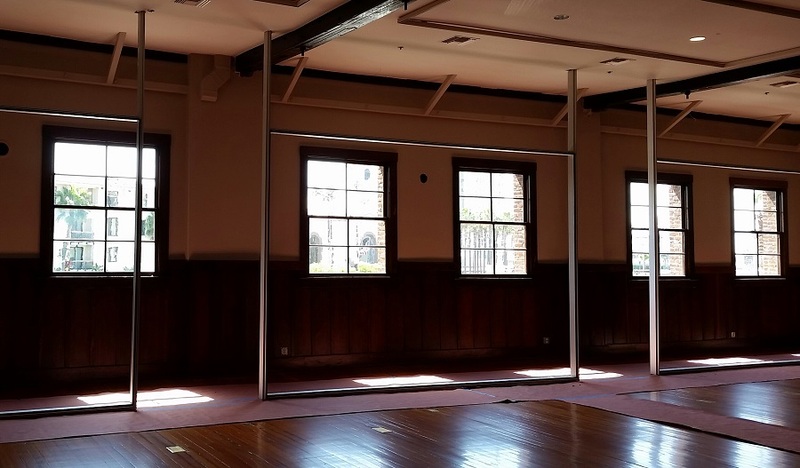 If you're a business owner, property owner or property manager, Castle Window Covers can handle everything you need for your commercial blinds and commercial window shades projects. 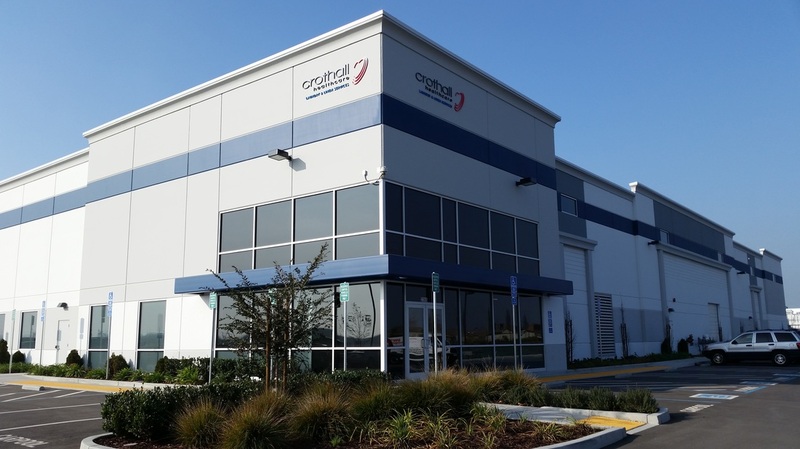 Whether you own or manage multiple buildings or a large facility, we can help you with your low-cost purchase and expert installation of commercial blinds, mini blinds, window roller shades, solar screens - virtually anything you need in terms of window treatments. One way to keep your tenants and employees happy is to make sure they're comfortable while keeping the window treatments up-to-date, modern and new. It helps them understand that your pride in owning and managing your businesses and buildings reflects equally in keeping them comfortable and happy in their home or office. Whether you own apartment buildings, hotels, strip malls or large office buildings, Castle Window Covers matches the best prices with the best service when it comes to buying and installing blinds and window shades. 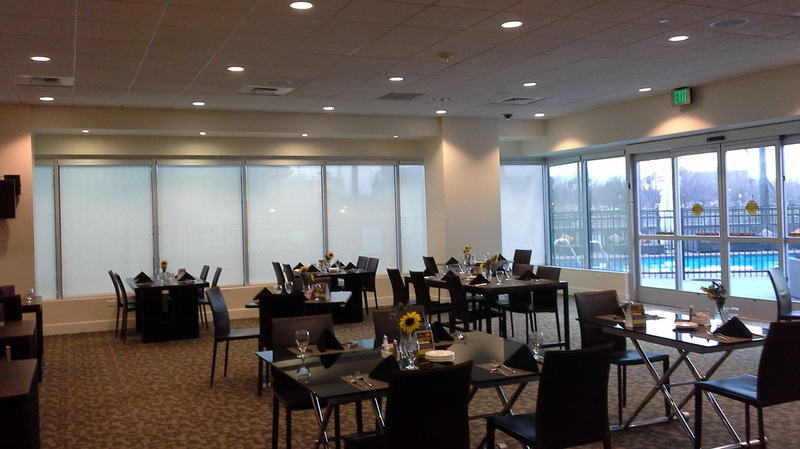 Call us today for a free estimate, or email us to talk about your commercial window treatment projects. Arco Murray Construction is in charge of building the Crothall Health Care Laundry Facility in Manteca, CA. 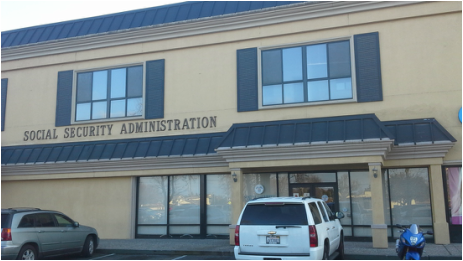 This large, modern facility needed some high-quality, cost-effective commercial window treatments to keep the front office comfortable in the bright Central Valley sun. 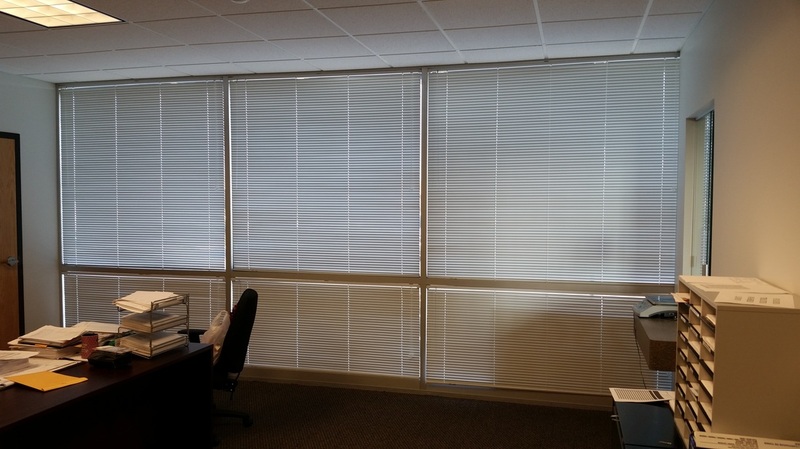 Castle Window Covers was able to come up with an affordable and very effective plan that involved numerous sets of commercial mini blinds in the building. Since the installation, the office stays much more comfortable while letting in all the light they want or need throughout the day. 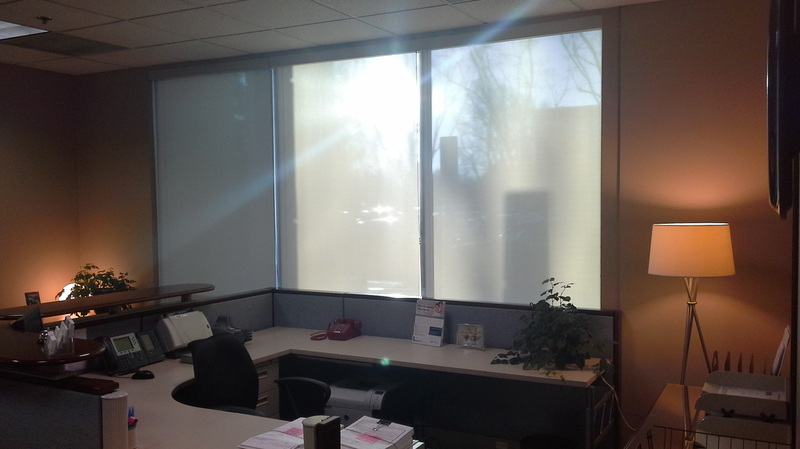 Commercial Blinds Images: Click on each image below to enlarge. 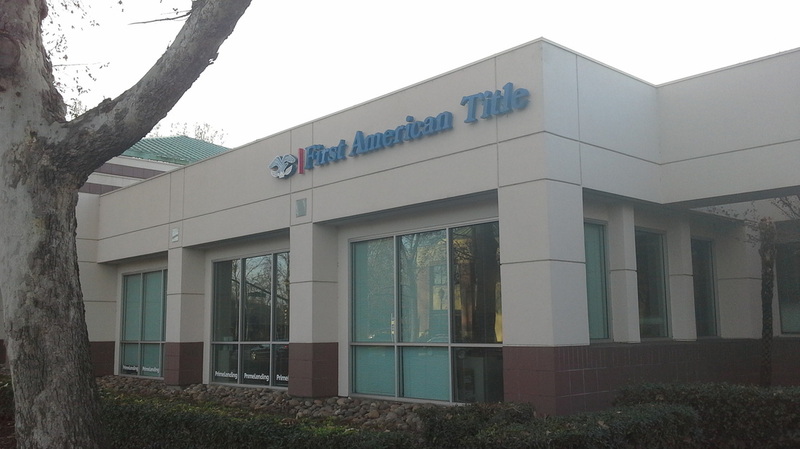 First American Title in Stockton, CA, had the typical problem: they loved the sunlight that came in during the later parts of the day, but in the summer, it was just too much. 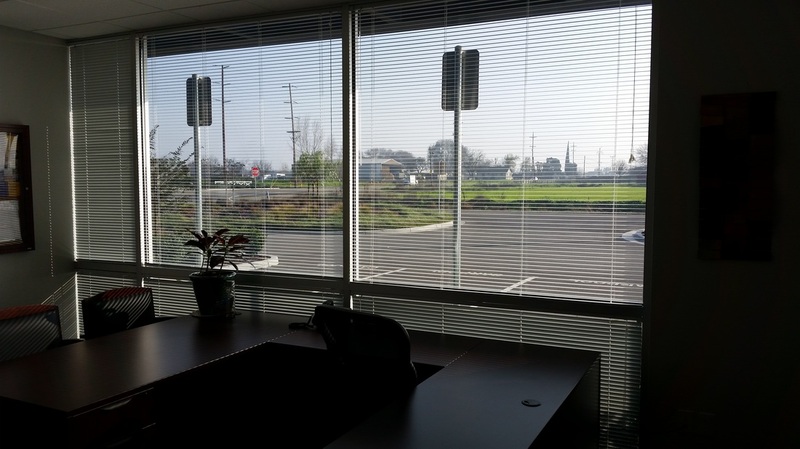 Our commercial roller shades are easily adjustable to block out the sun at the top of the window while allowing the rest of the window to remain uncovered. By the end of the day, it's simple to roll the window shades all the way down while still allowing the beautiful, ambient sunlight through the shade without the excessive heat, especially during the summer months. 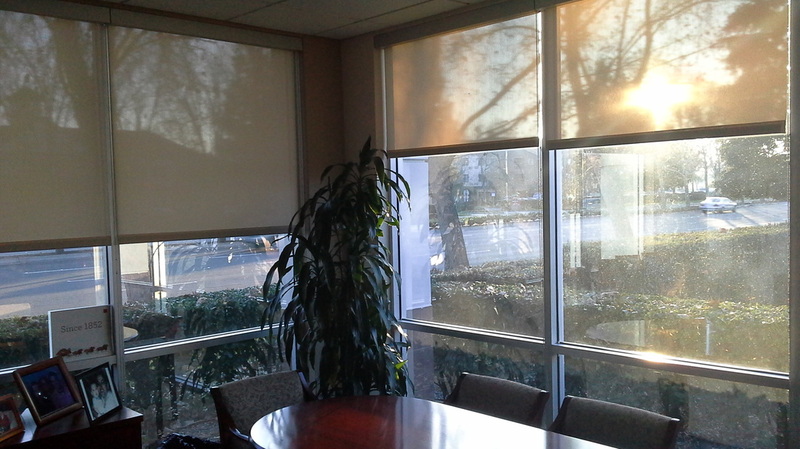 Commercial Roller Shades Images: Click on the images of our commercial roller shades below to enlarge. Lodi, California, with its numerous vineyards, is the Central Valley's best spot wine tasting outside of Napa Valley. 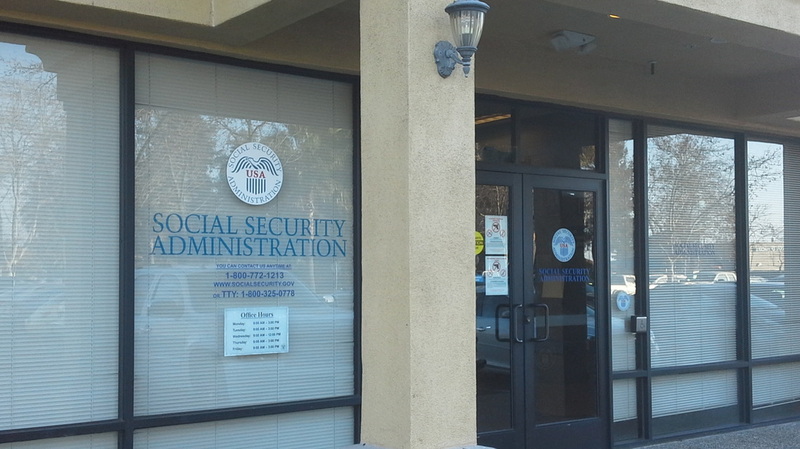 The people who live in Lodi, however, still have work to do just like anyone else. 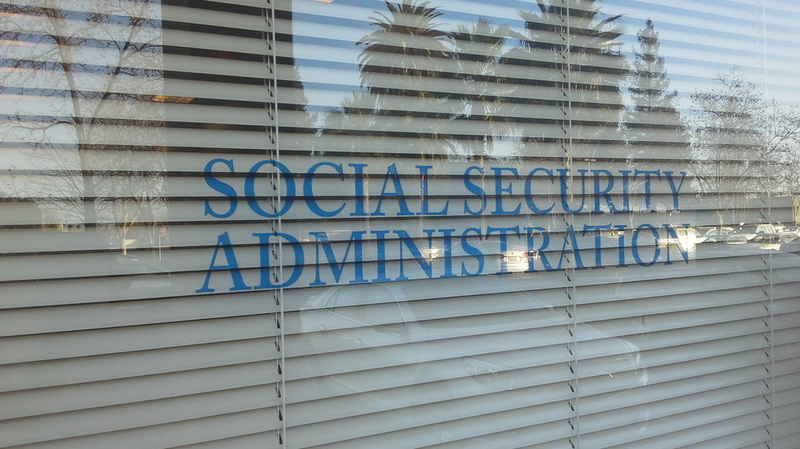 The local Social Security Administration building needed new window blinds for the office windows both for privacy as well as to keep the glaring sunlight away from the employees. 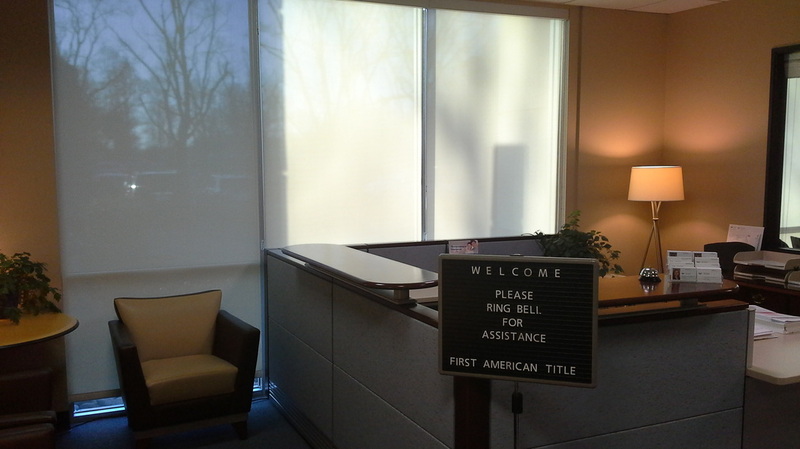 After Castle Window Covers installed the commercial blinds throughout the office, it stays more comfortable and cooler. 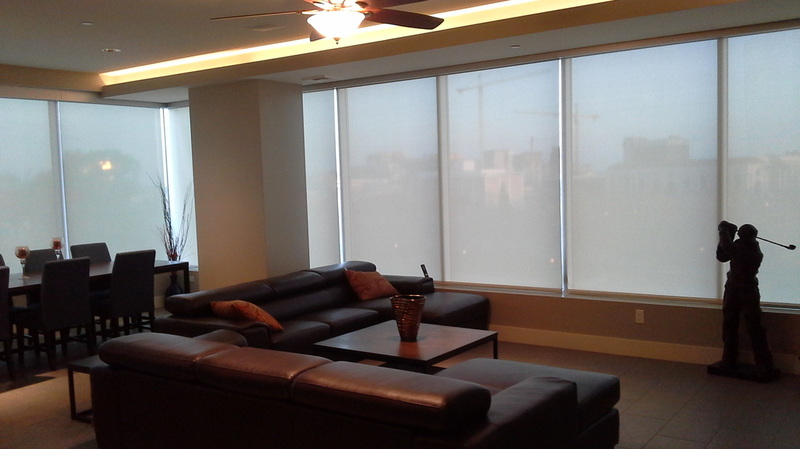 The blinds also provide the perfect balance of sunlight and privacy. 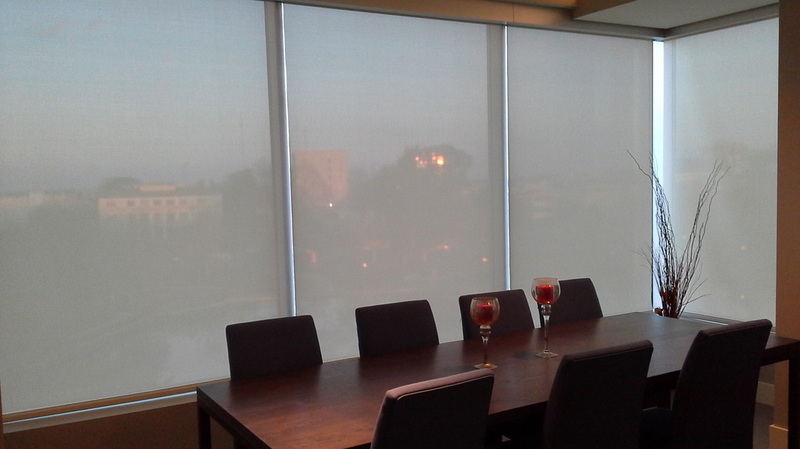 Commercial Blinds Images: Click on the images below to enlarge. Stockton's University Plaza Waterfront Hotel is the city's premier hotel. With unbelievable views of the Delta River and the entire San Joaquin Valley, the University Plaza Waterfront Hotel is one of the centerpieces for the Downtown revitalization project. 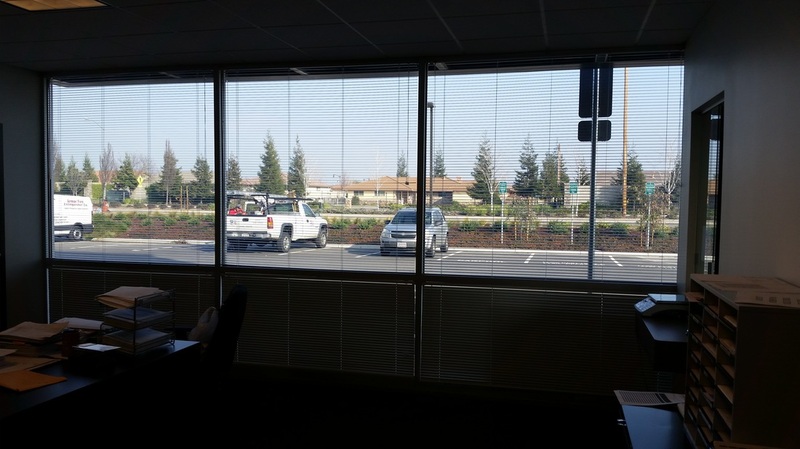 Just steps from the Stockton Arena and Banner Island Ballpark, Castle Window Covers had to find the perfect fit for the views, the high-end atmosphere, and the comfort of everyone working and staying in the hotel. With 130 guest rooms and suites, meeting facilities, waterfront and poolside views and the Delta Bistro and Lounge restaurant, no detail could be left out. The rooms are comfortable, and the views are spectacular year round. 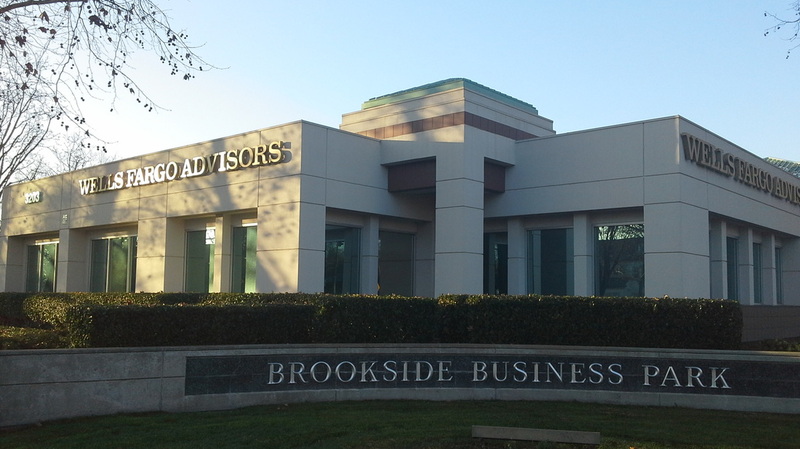 Like many of our clients in the Sacramento and Stockton areas, the Wells Fargo Advisors team in Stockton came to us with the dilemma of a beautiful sunset to look at, but a scorching-hot hot to work in and to bring clients to. 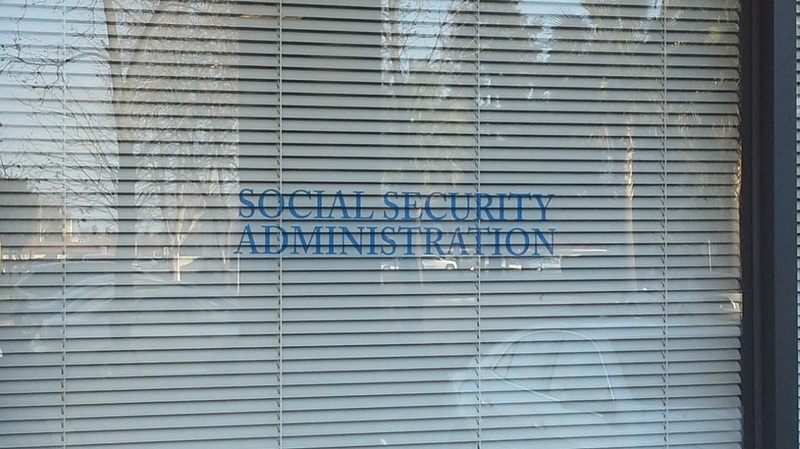 Obviously, they needed a compromise. We set up the Wells Fargo Advisors office with a beautiful set of commercial solar screens that were stylish, protected them from the glaring sunlight and excessive heat, but still allowed the view of the sunset at the end of the day. Now the office is more comfortable while retaining their view. 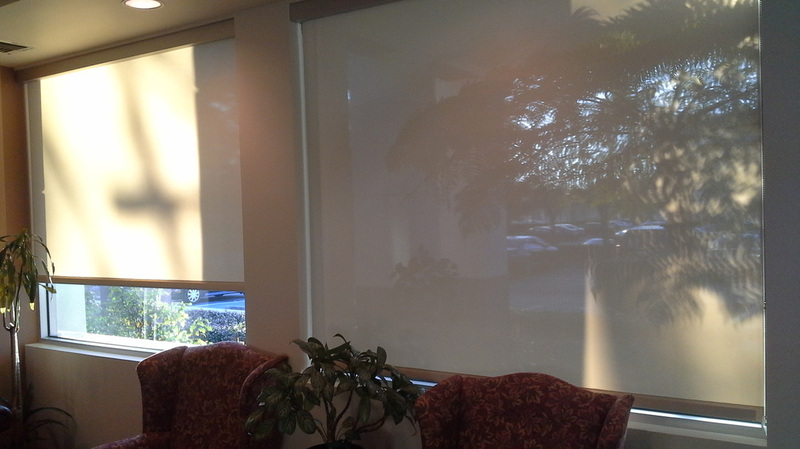 Commercial Window Shades Images: Click on the images of our commercial window shades below to enlarge.